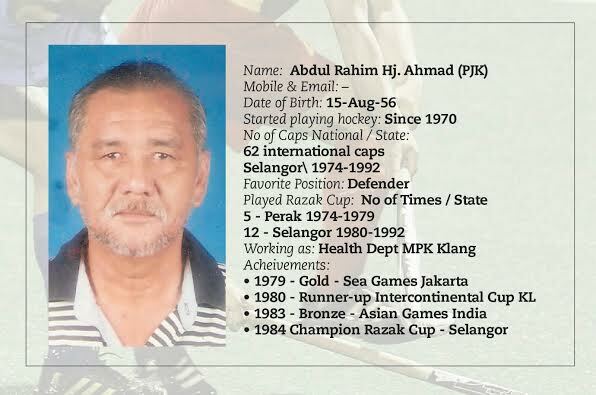 Former national hockey defender, Abdul Rahim Hj Ahmad, passed away this morning. Rahim who has capped 62 times for the nation, would have turned 60 on 15th August. He was employed at the Health Department at the Majlis Perbandaran Klang. Prayers are held now at the Masjid Kampong Raja Uda in Klang and will be buried at the Sungei Udang, Kampong Delek burial ground after Zohor prayers.